We describe a compact, thread-safe communication library for cluster computing. The library provides the most used communication functions, such as point-to-point send/receives and broadcast, scatter and gather collective operations. In addition, our library allows processes running on different processing elements of a cluster to share portions of memory. 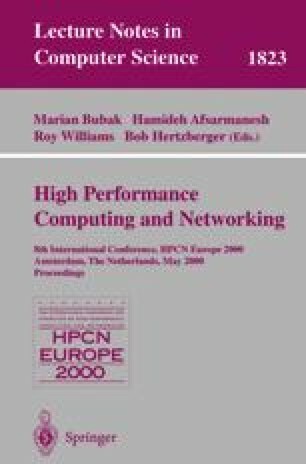 We show experimental results that demonstrate the library outperforms classical implementations of MPI (mpich) in collective operations and achieves comparable performance in point-to-point communications on Beowulf class workstation clusters.